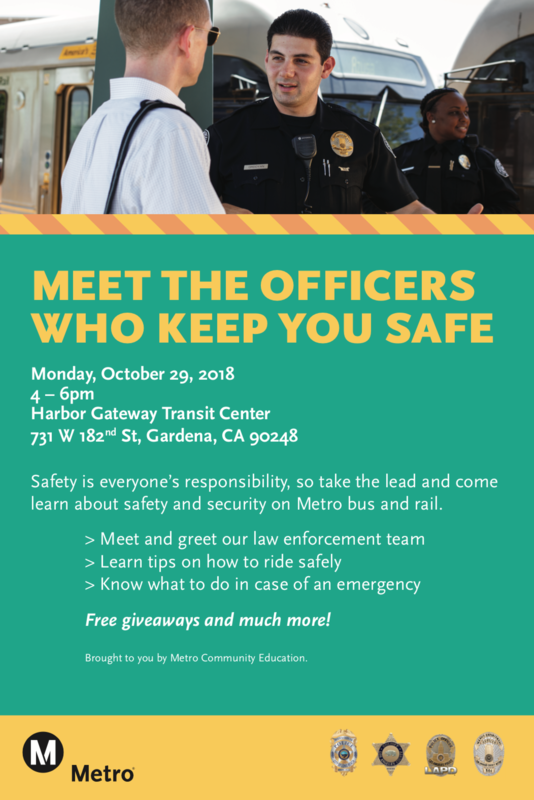 Metro will be hosting an open house “meet and greet” at Harbor Gateway Transit Center on Monday, Oct. 29 from 4 to 6 p.m. Stop by to meet the law enforcement officers that keep our system safe. You’ll be able to learn about transit safety and security, as well as share feedback directly with the officers. Representatives from other Metro programs will also be available to provide information and fun giveaways! What kind of freebies are you giving out?